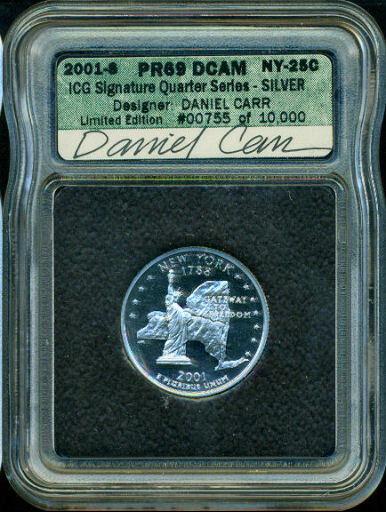 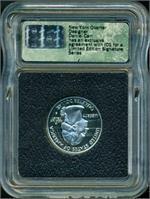 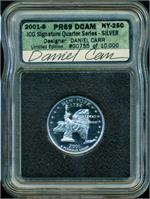 2001-S (San Francisco Mint) New York ICG PR 69 DCAM Signature Series state quarter, SILVER. 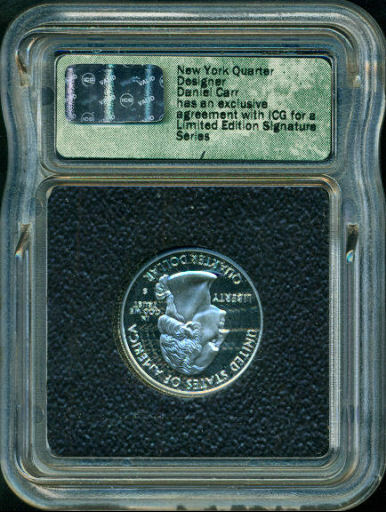 Serial numbers on holders will vary. Although noted on the holder as an issue of 10,000, far less than that were actually issued.